Being career driven can see all your dreams come true, but not focusing on your wellness as you climb the corporate ladder can lead to chronic stress. Chronic stress takes the positive benefits and subverts them. Instead of being propelled to do a better job in a shorter period of time, you become worn. Chronic stress leads to poorer work performance. It can lower your immune system, cause irritation, insomnia, and generally lead to burnout. 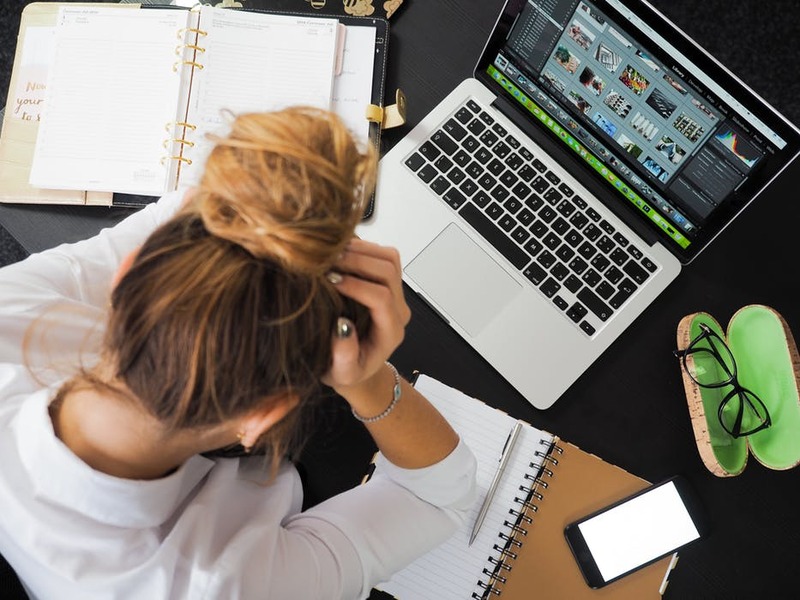 Chronic stress is a serious condition that can greatly affect your health, much less your work, which is why when you find you are stressed consistently, both at work and at home, you have to evoke change. Chronic stress can lead to many other poor habits, like unhealthy eating or being sedentary. When you are stressed, good habits seem like too much effort. In a bid to comfort yourself you actually end up hurting yourself even more. That is why your first step to combating work stress is to focus on improving your physical health. To start, stop eating your comfort foods. Going on a cleanse and filling your body with healthy, nutritious foods can give you the energy to succeed; it can also improve your mental well-being. This means ensuring that you are getting enough nutrients. Nutrients come from several sources – vitamins, minerals, proteins, and fats. Each nutrient has its own purpose, and rather than cutting anyone out it is better to find foods that do the most for your body. Fats, for instance, are crucial for your diet. Combined with carbohydrates, fats provide the energy for your body to function. That being said, there is a huge difference between fats that are good for you and fats that are bad for you. Generally speaking, fats that are solid at room temperature (like butter) are not good for your health. These fats are also known as trans or saturated fats. Instead, opt for “healthy fats” or mono-saturated and poly-saturated fats which reduce LDL cholesterol levels and can decrease the risk of diabetes. These fats can be found in ingredients like olive oil, avocado, nuts, and eggs. The best place to find the rest of your nutrients, including the 13 essential vitamins and minerals are from fruits and vegetables, though you can supplement your diet with vitamin pills. Be sure to follow the dosage recommendation, as vitamin dosage is possible (though very rare) and it can be dangerous. Combine this healthy eating with physical exercise. Exercising is a great stress-busting activity, as not only can it help you utilize the adrenaline that stress is infamous for producing, it also causes your body to produce serotonin, a feel good hormone. Exercising also pumps more oxygen throughout your system, meaning you will feel more awake and alert throughout the day. All these healthy habits combined will help give your body what it needs to function at optimal levels. Being unhealthy can cause stress on your body, which will exacerbate your work stress. That is why healthy living should be everyone’s first step towards combatting chronic stress. Long gone are the days where you can expect to retire at the tender age of 64. Not only is the retirement age being pushed back, it is also not feasible for workers to retire so early. Our lifespans are longer than ever, and will only continue to extend as time goes on. As a result, many people are finding that they are outliving their retirement savings. Many more don’t feel comfortable with the infrastructure and their pensions to retire. The result: people will increasingly push their retirement back further, meaning you can expect to work for much longer than previous generations. Pushing yourself to work hard in order to get that promotion, then, is not as pressing an issue as it once was. You have the time to be both a stellar employee and someone who focusses on their own wellbeing. That is why you should start to disconnect from work once you get home, and take more retreats. This will help you manage your stress and spend time with your family. Being a workaholic can hurt so many in your life, including yourself, so start to disconnect from work once you leave work. You’ll be amazed at how incredible your life can be when you achieve a work/life balance. If you find you cannot disconnect from work once you leave the office, either due to clients or due to your company’s expectations, instead use your vacation days more effectively. Rather than spend one long vacation, spread your vacation days throughout the year. Go up to your cottage and enjoy being disconnected from work entirely. Spend the time with your family in the great outdoors, breathe in that fresh air and relax. These frequent visits will allow you to better maintain your vacation property as well, so if your boat needs some maintenance, you can quickly get a replacement motor from this company, rather than allowing your property and possessions to rot. There are so many ways to disconnect from work. You can learn new things, place a bigger emphasis on your hobbies, and spend time with your friends and family. Being healthy and taking the first step towards disconnecting from what stresses you is crucial, because it is a shift in your mentality. You deserve to work stress-free. You deserve to disconnect after work and focus on yourself and what makes you happy. Combating stress is first about accepting that you are suffering, and that you need to take measures to promote your health and happiness. Achieve the work/life balance that works for you, and you’ll lead a better, more productive life as a result.